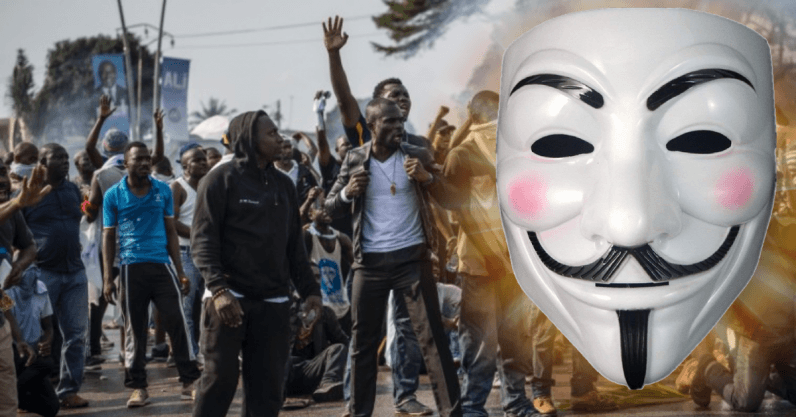 Anonymous, a collective of hacktivists, has claimed responsibility for a widespread DDoS attack and defacement of Gabon’s government websites. The collective have said they did this in protest against Gabon’s government and specifically against the dictatorship of President Ali Bongo. Earlier on 29 October 2018 it was also reported that President Bongo had been hospitalized due to exhaustion. “#Anonymous will always be ahead of dictators and their regimes. We fight for the people, for the voiceless, the ‘technologyless’! #LorianSynaro #OpGabon #Gabon” reads one the tweets that Anonymous posted. Unofficially founded some time around 2003, Anonymous is the leading group of a collective of hackers that use hacking as a form of protest. The collective’s name, Anonymous, was derived from the way in which users would post anonymously on the picture based messaging forum, 4chan. They have been responsible for many government website defacements, DDoS attacks, as well as the shutdown of social media accounts related to the Islamic State, among many others. The defacement and DDoS attack on Gabonese government websites is not the first activity by Anonymous in Afrika. The group has claimed responsibility for DDoS attacks in South Africa and Zimbabwe as well as the defacement of Nigerian government related websites in the past. In a previous interview withiAfrikan, Anonymous indicated that theirs is to make a statement and not necessarily cause permanent damage. At the time of publishing, some of the websites of the government of Gabon, such as the main government website and the finance ministry’s website, were still down after the DDoS attacks and defacement. What is also interesting to observe is that all the website were still running HTTP and not the secure HTTPS, raising questions on well they were secured. It is not clear yet whether Anonymous will continue with the attack.